Arsenal are in the market for a top midfielder after completing the signing of Petr Cech, and have already missed out on targets like Geoffrey Kondogbia. Calciomercato.com claims that since the end of last season, interest in the Chile international had dried up. 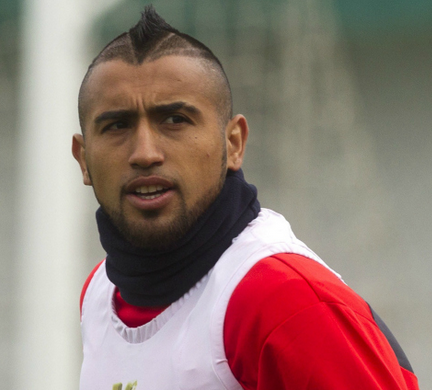 Real Madrid, Manchester United, Bayern Munich and Arsenal had all expressed interest in Vidal during the campaign. But in recent weeks, that interest had gone cold, particularly after Vidal’s controversial car crash. Juve were eager to do business and actually approached Arsenal last week with a lower valuation – €30 million – urging them to reopen negotiations. It’s suggested Arsene Wenger is unsure about the deal, but Arsenal directors have taken the deal out of his hands and are ready to sign the Chilean, even without his approval. Vidal, who has been linked with the Gunners for most of the summer, is looking likely to be leaving Juve following the arrival of Sami Khedira.Manchester United have also been linked with Vidal but they are now focusing on other options.